The public is invited to view Messier 37 and 35 through Missouri S&T’s 16-inch-diameter telescope on Monday, April 9. All viewings are subject to weather conditions. The Missouri S&T Observatory will open its doors at 9 p.m. for the first viewing. The viewings will take place back-to-back, but not simultaneously. The sky must be clear for observing, and the session length will vary. 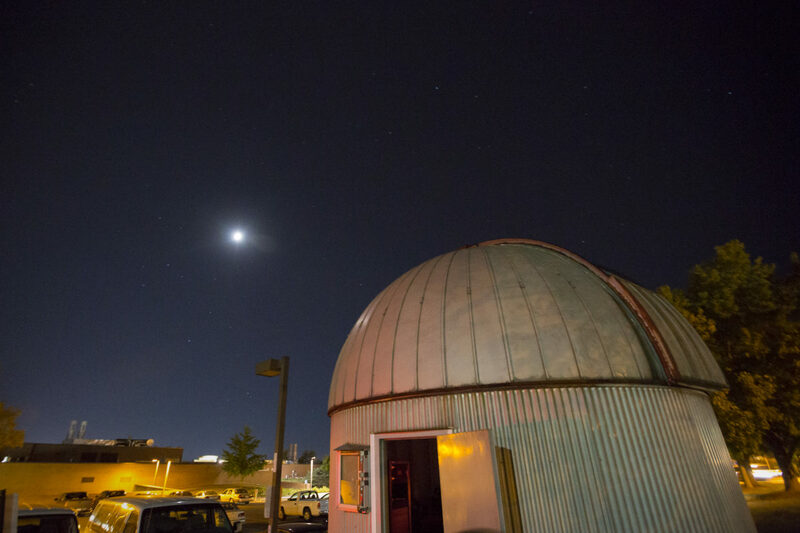 Viewings at the observatory are free of charge and no reservations are required. Children are welcome to attend but must be accompanied by an adult. Messier 35 is a large open star cluster located in the northern constellation Gemini – the only Messier object in Gemini. The best time of year to observe it from northern latitudes is when the constellation is high overhead. Messier 37 is an open cluster in the constellation Auriga. It is the brightest, richest and largest of the three open clusters in this constellation. This is the fourth viewing of the semester. The next viewing will be held at 9:30 p.m. Monday, April 23. Built in 1973, the Missouri S&T Observatory is located at 1550 N. Bishop Ave. (Highway 63), adjacent to the university’s Stonehenge replica, north of McNutt Hall and west of St. Patrick’s Lane. For more information, or to have your email address added to an event notification mailing list for future updates and weather cancellation notices, contact Missouri S&T graduate student Ken Goss by email at ken.goss@mst.edu.